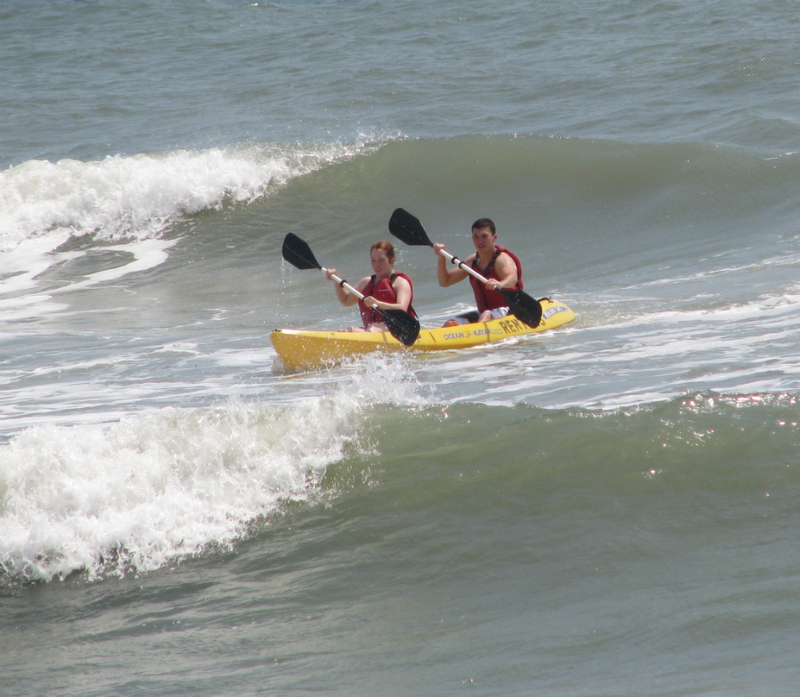 Kayaking around Carolina Beach, NC offers so many different adventures. You can choose to kayak in the ocean, in the Cape Fear River or along the Intercoastal Waterway. Bring your own kayak and push off the beach like our guests this past weekend did, with the warm spring sunshine they had so much fun they went in a few times. 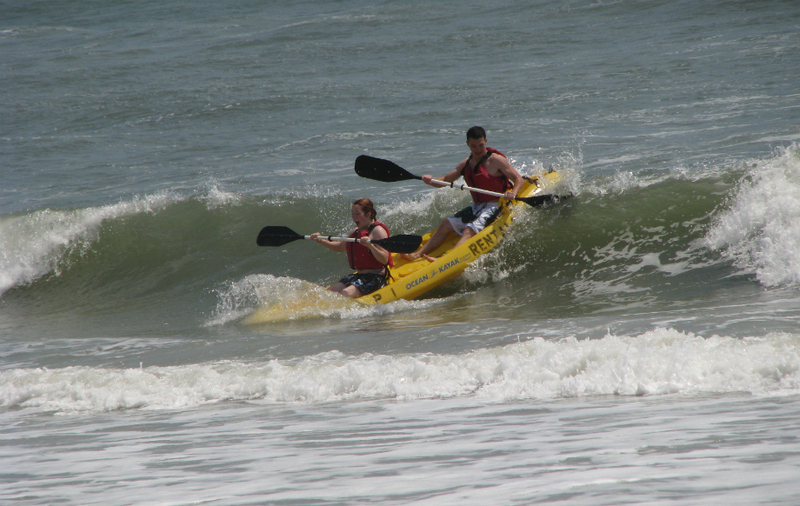 While staying here at our Carolina Beach bed and breakfast you can just unpack the kayak and hit the surf within a few minutes. If you’ve been longing for a nice afternoon picnic trip-head on down to the south end of the island and kayak over to Zeke’s Island. Or if you’re in need of a kayak and maybe some guidance-here on Pleasure Island there are a few really nice folks that will do just that. For the most enjoyable adventure be sure to let them know your experience level. On your next trip here give our local Kayak rental and Guided tour companies a call. 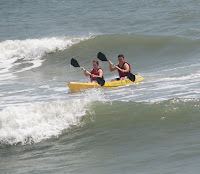 This entry was posted in Carolina Beach, Family Friendly, Kayaking by admin. Bookmark the permalink.